Our head office and primary LPG supply depot is situated in the heart of Lancashire between Preston and Longridge – ideally situated for quick access to Lancashire’s motorway and road network. As a result we look forward to continued growth throughout Lancashire in established areas such as Preston, Longridge, Blackburn, Burnley, Ormskirk, Blackpool and the Fylde Coast as we enhance our reputation as the leading independent LPG supplier to homes and businesses in Lancashire with great customer care, reliable LPG supply and the cheapest LPG prices. The introduction of rules allowing LPG home owners to change their LPG supplier has meant that we have seen a substantial rise in domestic LPG customers transferring to us.. 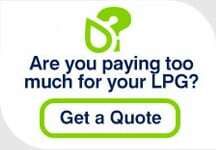 It is now quick, easy and free to change your LPG supplier, and we are confident you will be surprised by how much cheaper our LPG price is. Throughout Lancashire there are a number of LPG metered estates with farmhouses and barns being converted to domestic homes. In a number of cases we have managed and completed the transfer of several residential developments; developments in which properties share LPG storage tanks and individual LPG use is measured by a meter. Because most farms and estates, etc. tend to be in rural locations they are not served by mains gas. As such, LPG is the ideal alternative fuel for communal developments because sharing LPG equipment is the most effective infrastructure to supply LPG to properties located close together. For businesses not on the national grid, LPG has proved to be a versatile and cost effective fuel. Our customers use LPG in a wide range of situations; to heat premises, cook with a real flame, run Forklift Trucks and dry crops amongst other industrial and agricultural uses. Lancashire LPG users can find more general information on the following pages: Domestic LPG transfers, Metered LPG transfers and Commercial LPG transfers.